In the fall of 2014, I began working under the guidance of Dr. Daniel Bolnick at the University of Texas at Austin. 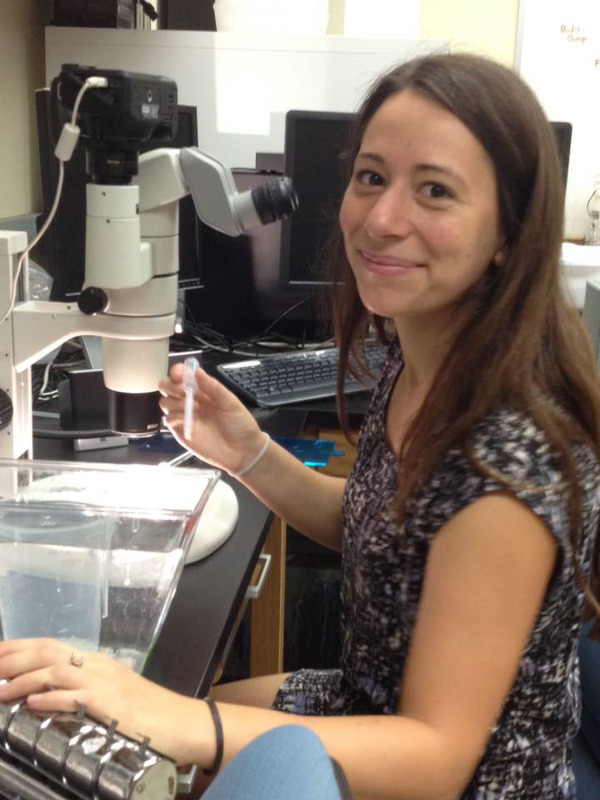 I was interested in exploring the variation that we see in parasite infection across populations. Why are some populations more heavily infected while others show no infected individuals? What are the relationships between the environment and the immune system? I was also interested in how climate change may influence infection prevalence across populations. 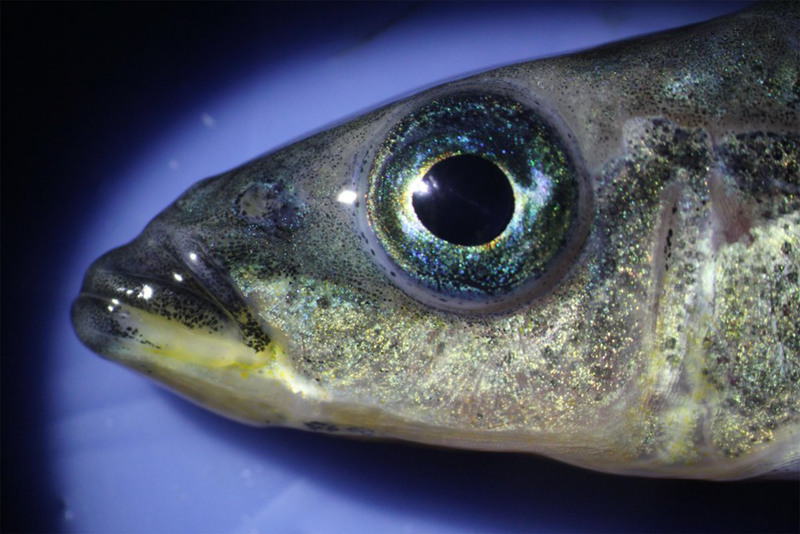 To explore these questions, I used three-spined stickleback (Gasterosteus aculeatus) as my model organism. For more work from the Bolnick lab, click here. A vibrant G. aculeatus male. Experimental tanks in a heat controlled room. 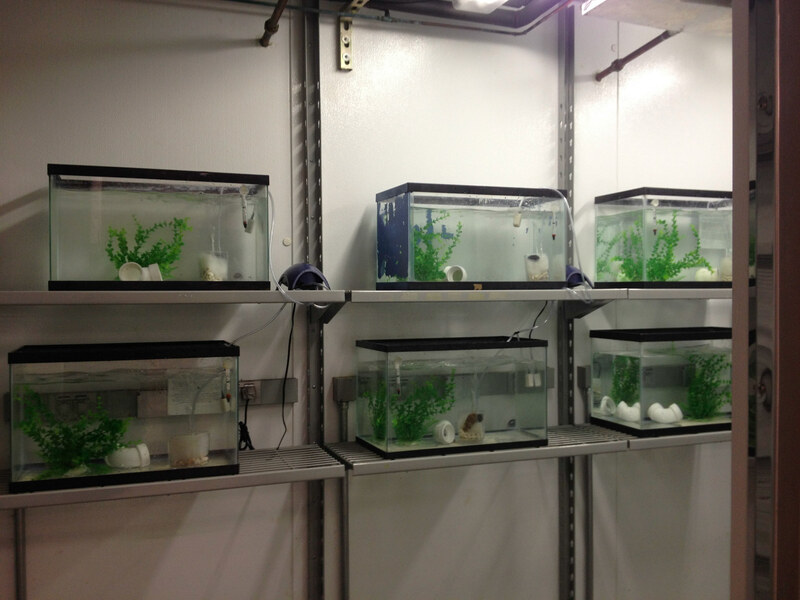 The fish room of the Bolnick Lab. 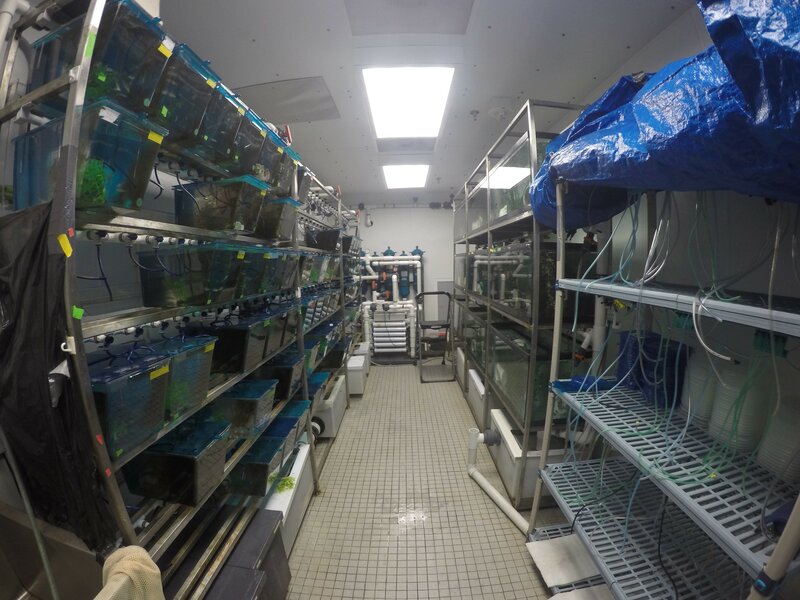 Populations of Canadian stickleback were housed here and used for research. 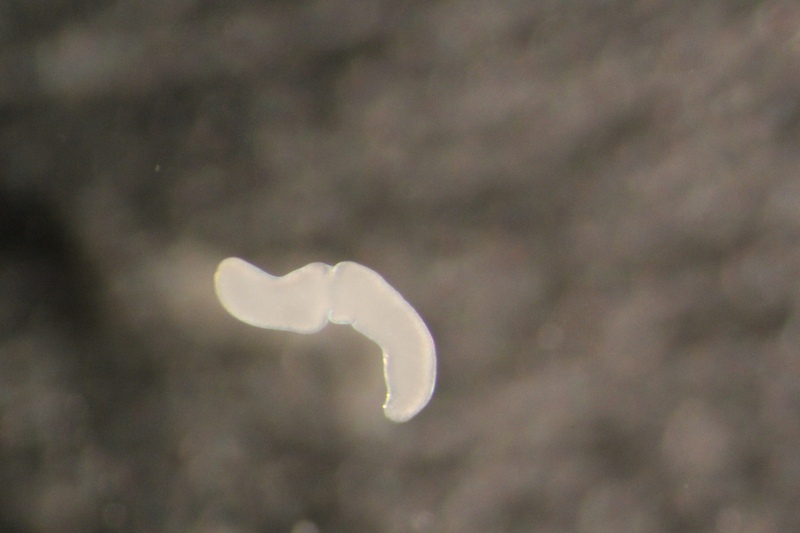 Schistocephalus solidus, a trematode parasite that infects three-spined stickleback. S. solidus inside the gut of a stickleback. Working at the dissecting scope.